Immaculate two-bedroom apartment situated on the 2nd floor of Empress Towers. 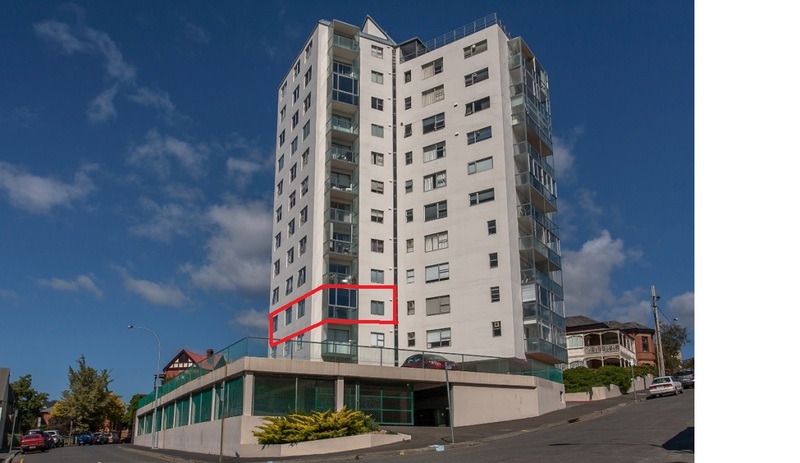 The apartment boasts stunning views over the River Derwent & City. This sunny, east facing apartment has a modern feel with a beautifully renovated kitchen and bathroom. The apartment is fully furnished with quality furniture. Comprising of two bedrooms both with built-ins, the master bedroom has a queen sized bed and the second bedroom is perfect for guests and/or home study with a sofa bed. The spacious modern bathroom has a concealed laundry, complete with washer and dryer. One car space is provided in the secure garage. Empress Towers is an iconic Battery Point building located only a few minute’s walk from Salamanca Place and the CBD, across from Princes Park. The Battery Point Village is just around the corner with boutiques, cafes, restaurants and the Prince of Wales Hotel. The property is available to rent until late December. Viewing by appointment.